Patrick, you are often described as THE Maître des chutes (Master of tumbles). How did you achieve this? Patrick Léonard: By falling down! (he laughs) I grew up with six older siblings, so let’s just say I’ve been pushed around a lot as a kid. Tumbling is a game for me! Later on, gravity intrigued me. We see falls everywhere in the circus universe: bodies falling, objects falling (with juggling), there are endless possibilities. 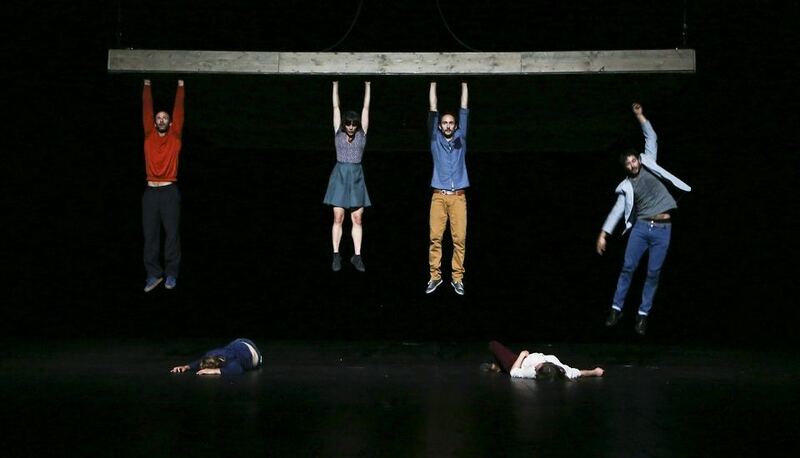 It’s also an experiment the artist shares with the audience: everybody has taken a fall in their lives. I love to play with the tension before the tumble, falling at just the right time or when the audience least expects it. Tohu: You have toured all over Europe. What brings you back to Montréal? 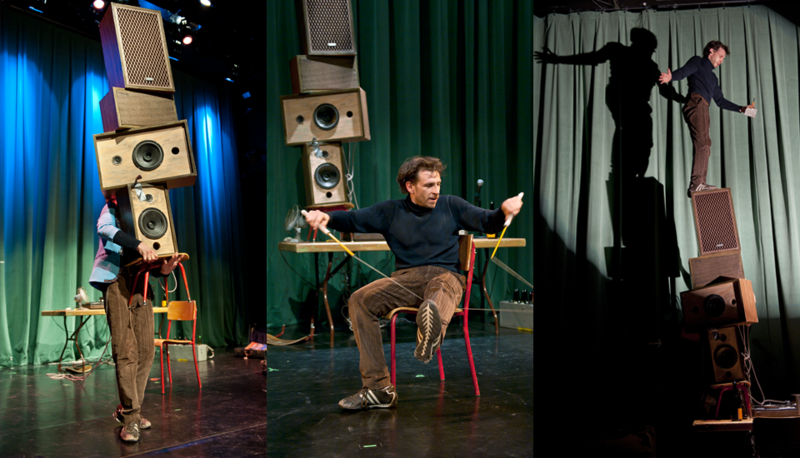 Patrick Léonard: I am really happy to present this new show which I created at MONTRÉAL COMPLÈTEMENT CiRQUE in 2012. I’m back with an even more imprecise show, pushing the ambiguity even further. The lack of preparation is even more credible! (note that my character is untidy, and wanders in a very clownish way, between clumsiness and easy feats, giving the impression that nothing works.) 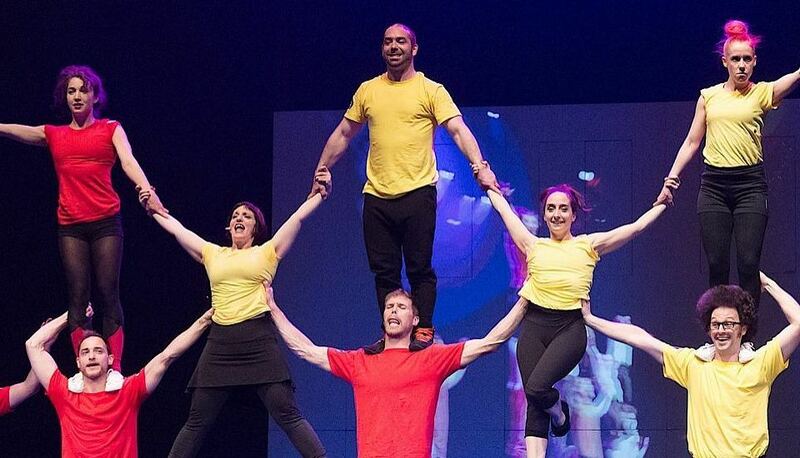 I’m particularly happy to bring the show to TOHU, our circus arts centre. Having performed in very intimate venues, the size of the circular hall is an exciting challenge. Tohu: As it’s the only solo performance by Les 7 Doigts, how was the show created? Have the other Doigts collaborated? 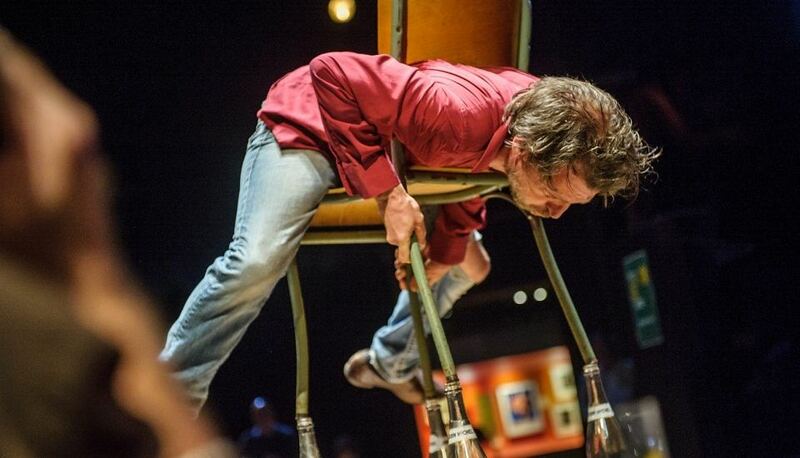 Patrick Léonard: Since the company was created, I always wanted to do a solo performance, but never had the time. Then, I got injured, which forced me to slow down, and take a step back. It worked in my favour: I was able to gather my thoughts, lay the foundations of a show. My colleagues supported me in this process, but couldn’t take part due to lack of time. So, I enlisted the help of an outside collaborator, Nicolas Cantin, whose work I knew, a valuable encounter! Nicolas is the master of slowness and “doing nothing”, whereas I’m more of a void filler through perpetual movements! I could not have found a better complementarity for this work. Tohu: Tell us about your journey which led to the creation of this eccentric whimsical character. 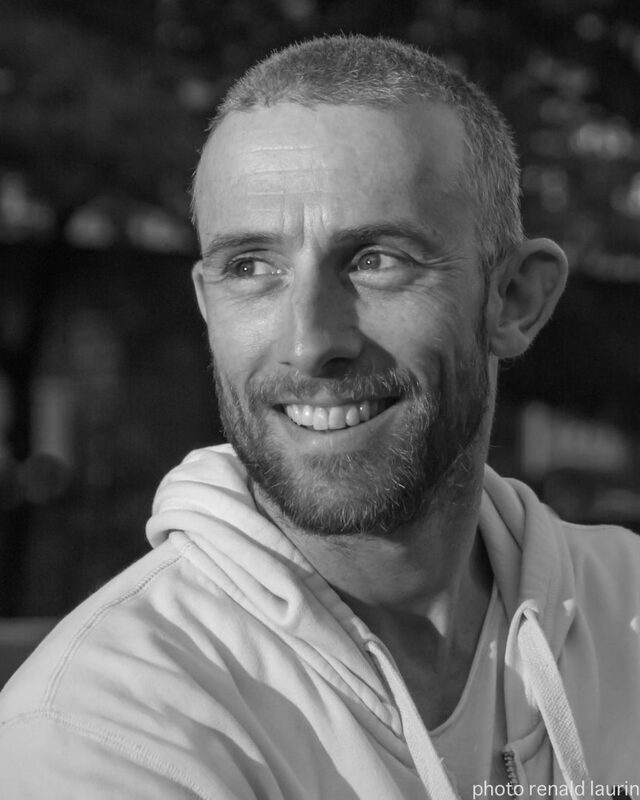 Patrick Léonard: My greatest inspiration is me! (he laughs) My own clumsiness in life, the carelessness, the blunders of those who, like me, want to push faster than time. I drew from what I observed around me on a daily basis, in just about everyone’s slip-ups. 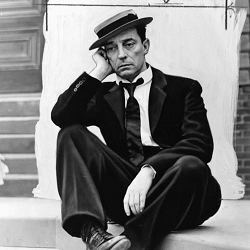 Buster Keaton is also an artist I’ve always admired. Tohu: What has this solo performance brought to your career? Patrick Léonard: I have learned a lot in terms of performance. When you are alone on stage, the audience becomes a crucial partner. When things don’t go as smoothly, no one can come to the rescue. You can’t hide mishaps, so you must use it. It requires a lot of humbleness, devotion, honesty, and the best part is that the audience is aware of it and values it. When the clown shows vulnerability, the audience is more empathetic and grateful. The show being timeless, I intend to perform it another 20 years. Well, as long as my body allows me to do so! With time, the show will gain in flavour. When I am 50 years old or more, it will have another effect. The character and the show will grow old with the artist that I am.